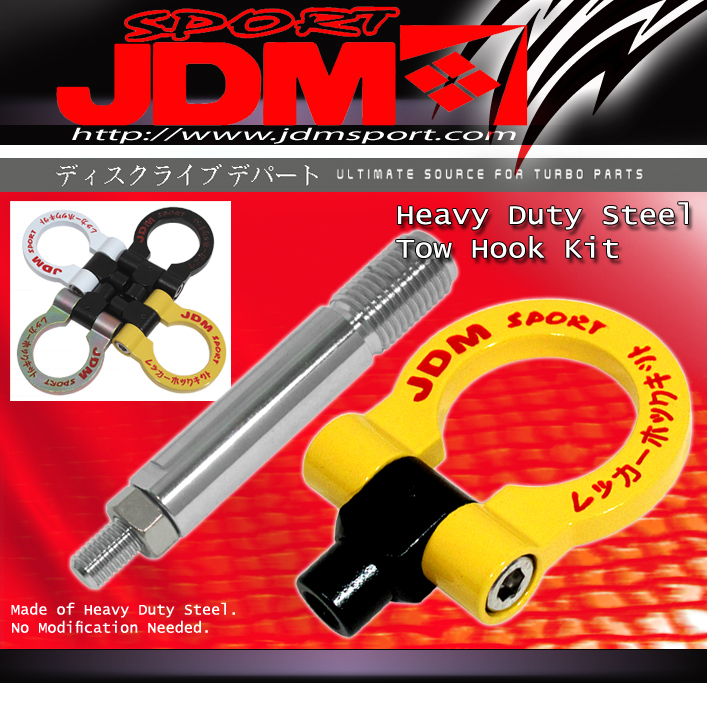 JDM Sport hardened steel tow hooks are made from the highest quality steel. Each set comes with all necessary hardware for most vehicle applications. No welding or machining is required. Easy recovery in case of accident or if the vehicle becomes off-road, without damaging stock or aftermarket bumpers. Will dramatically improve any vehicles appearance for any show or race car while still staying functional not like other style hooks that will break or bend if intending to recover the vehicle. Installation Difficulty: Basic mechanical skill needed.